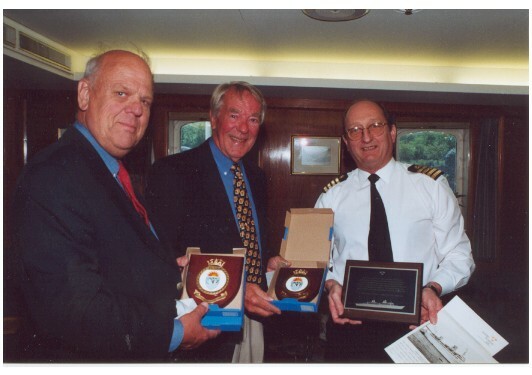 commemorative shields on board the Victoria in Stockholm on May 27, 2000. 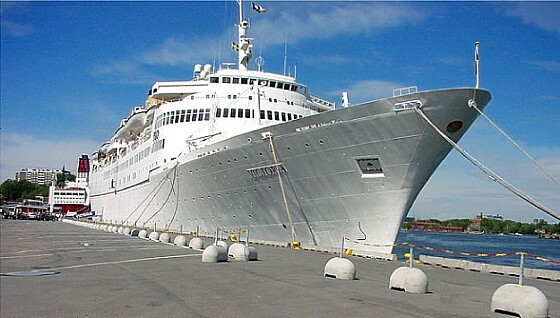 Victoria (ex Kungsholm) in Stockholm, May 27, 2000. Many thanks to P&O Cruises for the outstanding hospitality shown to us during our reunion! during the fifties, and Claes Feder, the Kungsholm's Chief Architect, now living in Portugal. Carl-Eric Olterman was the Victoria/Kungsholm's first captain. ship generations. Ulla was a bath attendant during the fifties, and Ingwar was a steward during the sixties. Franz Racz, leader of the ship's orchestra, made 26 cruises around the world! More Photos from the Reunion and Victoria!